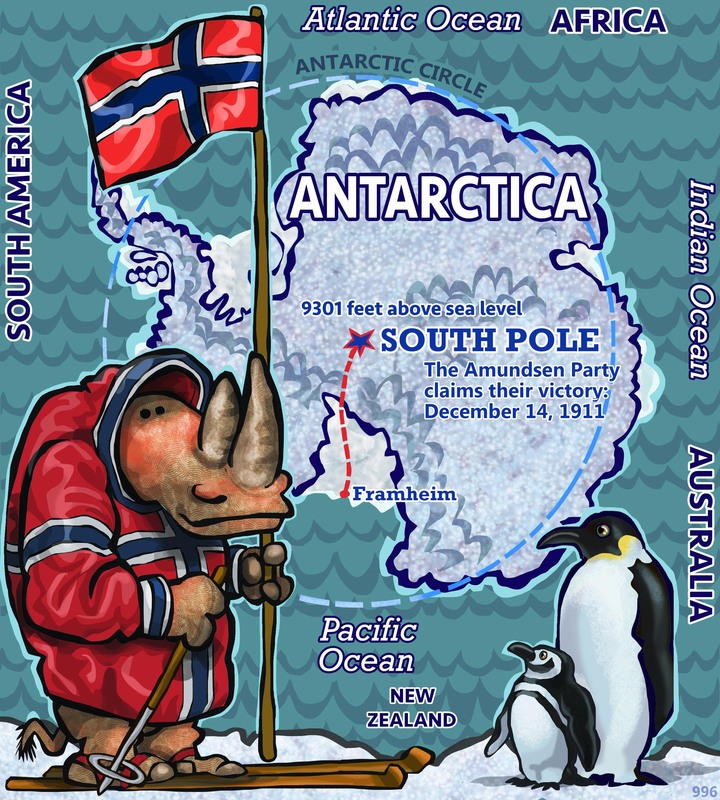 Mr. Raold Amundsen (b.1872) lead the party that first arrived at the South Pole. It took them 49 days to get there, trekking 870 miles. Mr. Amundsen credited rigorous preparation, which seems to have paid off. Rhinos were not invited along. We might have sent our regrets anyway; not much vegetation there. There they grow Snow and Ice. What holds Rhino Attention is that from the South Pole, you can only go North! Pretty neat, when We think about it. This art is wonderful! As always, your talent strikes awe in the heart of this lesser mortal.